When faced with a speeding ticket, most people have the impulse to simply pay it off and avoid court. Other people choose to ignore it and not come to court. Neither of these is a safe approach. 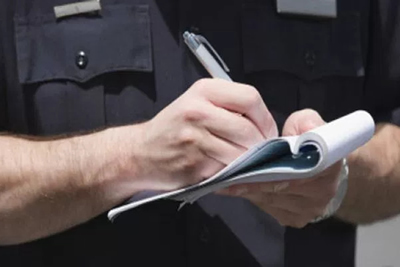 You should talk to an attorney before pleading guilty to any traffic offense, and you shouldn't let that citation sit too long before action. Contact our Cabarrus County lawyers to arrange a consultation, or brief us on your situation here. Why Pay a Traffic Violation Fine if You Are Not Guilty? Attorney Laura M. Baker, in Concord, North Carolina, has handled traffic violations from speeding tickets to driving with license-revoked charges. Criminal defense lawyer Laura M. Baker can often get tickets reduced or even fix previous violations that are preventing you from driving legally. Contact us to speak with our traffic violation attorney in Concord about your traffic offense. We represent clients in Cabarrus, Rowan or Stanly counties. The North Carolina Department of Motor Vehicles has a points system. See Traffic Law Brochure. When you accumulate 12 points through any combination of traffic offenses, your license can be suspended. Failing to appear in court on a speeding ticket or not paying the fine for a previous ticket can also lead to suspension or revocation. Driving records are very confusing to the average citizen, and the DMV is not the most friendly agency. Attorney Laura M. Baker, can determine if you are already suspended or if your current traffic violation would put you over the top. Our speeding ticket lawyer in Concord can then represent you in DMV hearings to try to get those tickets dismissed or reduced. If you are charged with driving after suspension or revocation, Attorney Laura M. Baker, can arrange a DMV hearing to reopen those old citations. By fixing the underlying problem, we can often get your license restored and then get the DWLR reduced so it can't hurt you. Don't try to handle this by yourself. Call us at 704-669-8165 or contact us at our Concord law office online to arrange a confidential consultation with a speeding tickets lawyer in Cabarrus County.